1/1, February 15, 1868. 4 pp., 4 francs a year in Lyon. 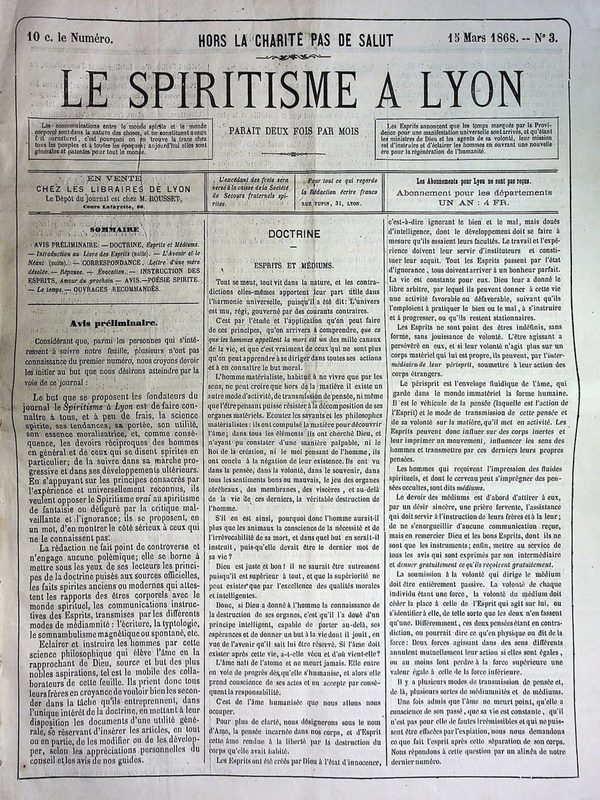 This was the product of the local spiritist society in Lyon, with excerpts from the works of Kardec and typical communications "obtained" in regional seances. Noted in Banner of Light 26/15 (December 25, 1869): 2, and reviewed in Revue Spirite, August 1868.